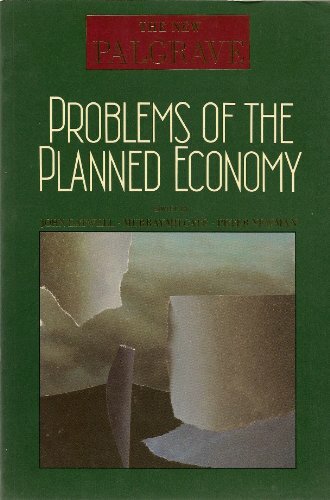 9780691632889 | Princeton Univ Pr, April 19, 2016, cover price $74.95 | About this edition: Few deny that the work of economists has often embodied or stimulated significant contributions to political thought. 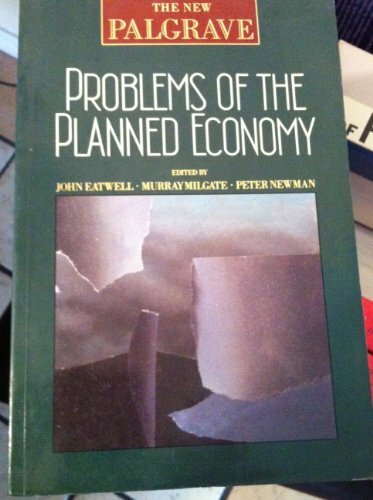 9780691042787 | Princeton Univ Pr, January 1, 1992, cover price $57.50 | About this edition: Few deny that the work of economists has often embodied or stimulated significant contributions to political thought. 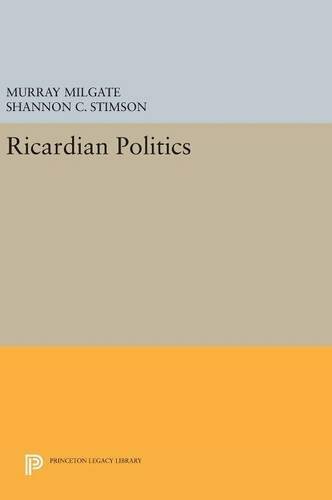 9780691603582 | Princeton Univ Pr, July 14, 2014, cover price $29.95 | About this edition: Few deny that the work of economists has often embodied or stimulated significant contributions to political thought. 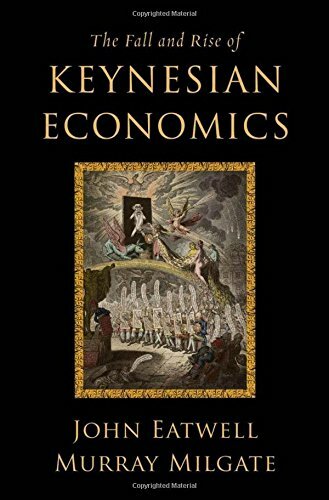 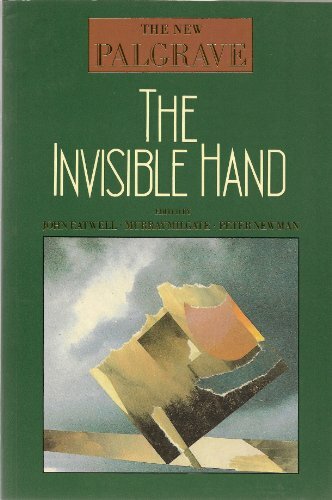 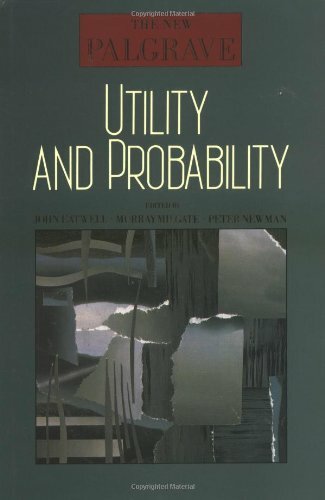 9780199777693 | Oxford Univ Pr on Demand, April 18, 2011, cover price $67.00 | About this edition: During the 1970s, monetarism and the new classical macroeconomics ushered in an era of neoliberal economic policymaking. 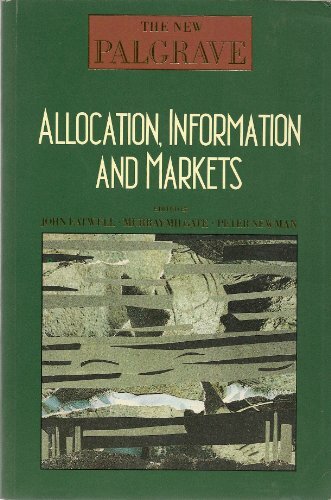 9780333495391, titled "Allocation, Information and Markets" | Palgrave Macmillan, September 21, 1989, cover price $39.99 | About this edition: This is an extract from the 4-volume dictionary of economics, a reference book which aims to define the subject of economics today. 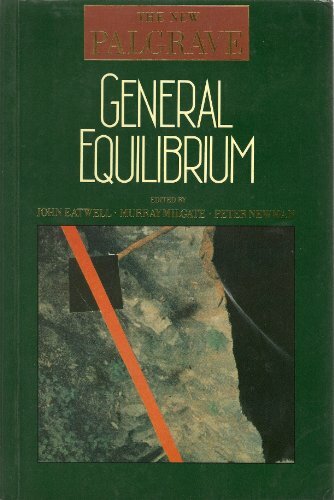 9780393027259 | W W Norton & Co Inc, August 1, 1989, cover price $39.95 | About this edition: This is an excerpt from the 4-volume dictionary of economics, a reference book which aims to define the subject of economics today. 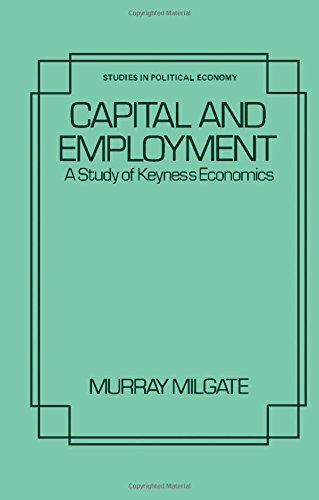 Product Description: This is an excerpt from the 4-volume dictionary of economics, a reference book which aims to define the subject of economics today. 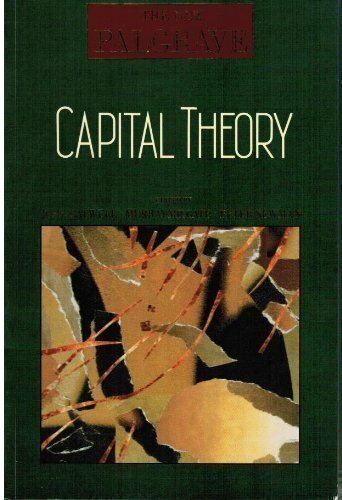 1300 subject entries in the complete work cover the broad themes of economic theory. 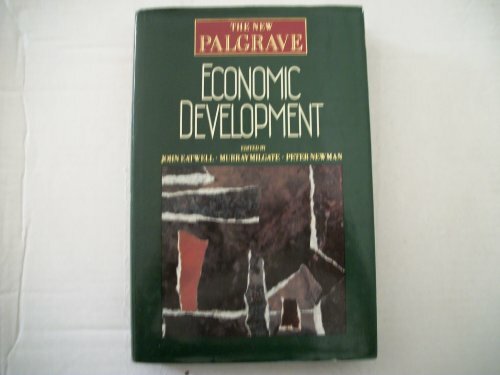 This extract concentrates on social economics. 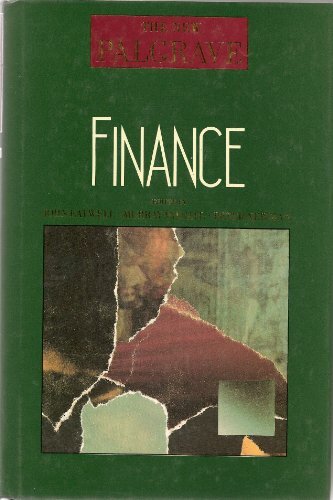 9780393027273 | W W Norton & Co Inc, August 1, 1989, cover price $39.95 | About this edition: This is an excerpt from the 4-volume dictionary of economics, a reference book which aims to define the subject of economics today. 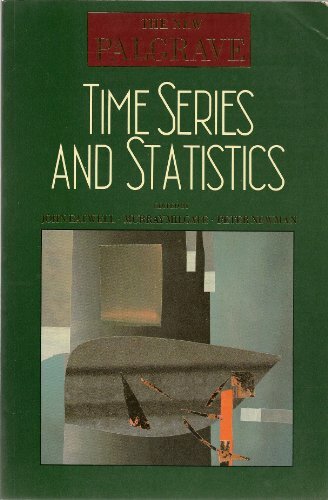 9780393027280 | W W Norton & Co Inc, August 1, 1989, cover price $39.95 | About this edition: This is an excerpt from the 4-volume dictionary of economics, a reference book which aims to define the subject of economics today. 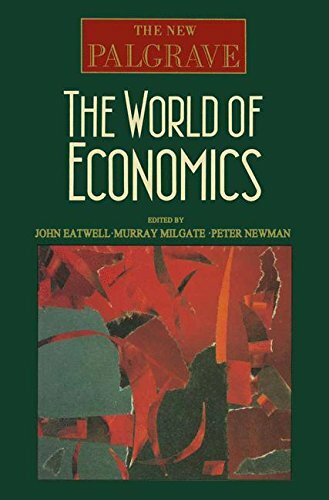 9780393958539 | W W Norton & Co Inc, February 1, 1989, cover price $18.95 | About this edition: This is an excerpt from the 4-volume dictionary of economics, a reference book which aims to define the subject of economics today. 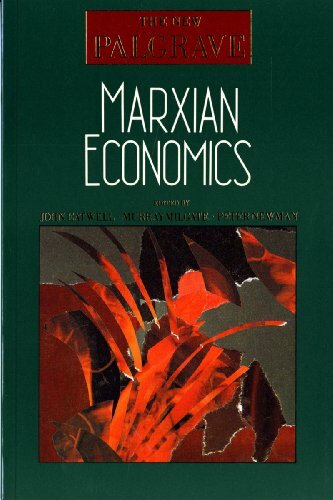 Product Description: This is an excerpt from the 4-volume dictionary of economics, a reference book which aims to define the subject of economics today. 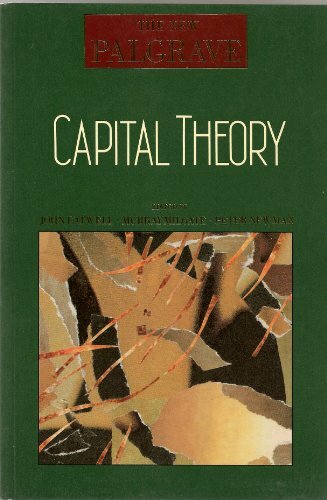 1300 subject entries in the complete work cover the broad themes of economic theory. 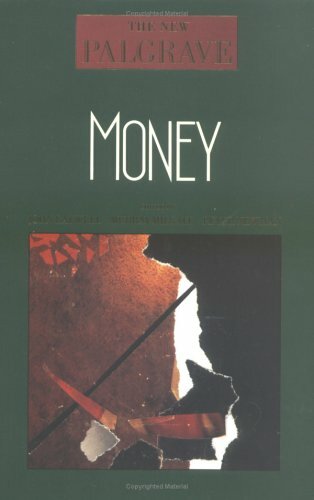 This extract concentrates on money. 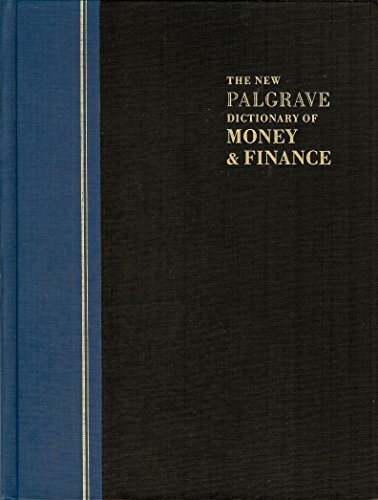 9780393027266 | W W Norton & Co Inc, August 1, 1989, cover price $39.95 | About this edition: This is an excerpt from the 4-volume dictionary of economics, a reference book which aims to define the subject of economics today. 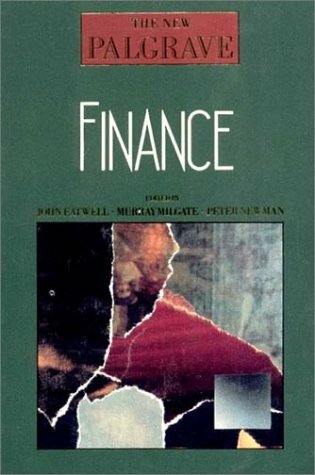 9780333495278 | Palgrave Macmillan, March 1, 1989, cover price $39.99 | About this edition: This is an excerpt from the 4-volume dictionary of economics, a reference book which aims to define the subject of economics today.